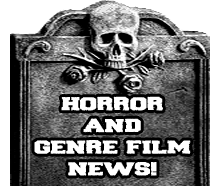 Synopsis:The murder and dismemberment of 17 young men in Wisconsin between 1978 and 1991 capped a century stained in blood by the heinous exploits of the blue-eyed cannibal killer known to a horrified nation as The Milwaukee Monster. 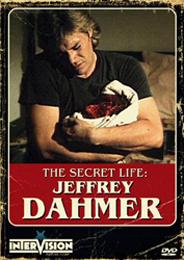 Made in the three years between his highly-publicized arrest and his 1994 murder while serving 15 consecutive life sentences in prison, JEFFREY DAHMER: THE SECRET LIFE follows the schizophrenic butcher from his first impulse slaying in his grandmother’s back yard to his infamous “rampage period,” in which he claimed up to one victim a week in his makeshift slaughterhouse on Milwaukee’s troubled west side. Review: Of all of the serial killer based films out there this is the film I overlooked probably a hundred times in the video store not sure if it'd be any good and honestly I wish I would of seen it sooner when it was released on DVD by Spectrum Ent. back in 2002 mainly because I missed out on such a good film for far too long. Oddly enough Jeffrey Dahmer was the one to get me into studying serial killers when a friend gave me a copy of "The Man Who Could Not Kill Enough" so this film is right up my alley. This film is very much different than the "Dahmer" film that was released back in 2002, instead of something that is more stylish you get a more "Henry: Portrait of a Serial Killer" type of film that takes a real serial killer and fictionalizes his life and murders in someways. There is not alot of gore involved like some would expect by the cover of this DVD release, instead you get very disturbing killing scenes and along with some easily disturbing narration. Carl Crew (Blood Diner) plays one of the best depictions of Dahmer that I have ever saw in my many years of film watching, he takes the intensity of the role to a whole other level of depravity. Even though they do show the dark side of Dahmer at times I could not help but feel for him which could just be from the great acting involved. To some people the only thing that will turn them off from this film is either the low budget & look of the film or if they are homophobic. One of the most disturbing scenes in the film was when Dahmer lures a deaf man to his place and taunts him with an electrical saw behind his back before he cuts off his head. Now even though the film did not stay completely factual they did put somethings in there that really did happen. Overall this is one of the more better serial killer films that ranks up there right beside such greats as Henry: Portrait of a Serial Killer(1990), Dear Mr. Gacy(2010), and Ed Gein (2000) and deserves the attention of all true horror fans!